Eric Sheets is on Wendy’s WOW List of Trusted Travel Experts for his expertise and connections in Colombia, Ecuador, and Panama. The reviews below are from real travelers who’ve taken trips that were arranged by Eric and monitored by Wendy. Don’t miss Eric’s Insider’s Guides to Colombia and Panama. We hired Eric’s team to plan a custom two week trip to Panama. Nils listened to us and drafted an itinerary that met our expectations exactly. We are a senior couple so we tailored the trip to be a relaxing visit and according the activities at a moderate pace. All the local providers performed well. The trip was 6 nights in Panama City, 4 nights in Boquete, and 3 nights in El Otro Lado Portobelo. Some very positives – we had the same guide for all our 6 days of activities in Panama City and it worked because of the familiarity, since our activities were different it did not overlap and the familiarity made it more relaxing for us, more like traveling with a friend. The average time for driver arrival during the trip was 10-15 min early, the latest (one time) exactly on time. Every one we dealt with — guides drivers hotel personnel — were engaging. Panama likes tourists and the way our trip was planned we never felt we were crowded or rushed. We did have a specific in-Panama contact number but had no need to call because the trip executed exactly as planned. That’s what you expect from a travel planner, everything planned perfectly in advance so that on the trip it just executes flawlessly. We did send back some pictures during the trip and always got a quick response from Nils and Filomena. You could tell they care that their clients enjoy their trip. Also they worked with us to help with our budget given Paquita is a native Spanish speaker. In Panama certain activities are best on certain days of the week and Eric’s team knew that and the planning worked. Also they steered us clear of the Pope’s visit (our timing was flexible) and that was great because we would not have enjoyed being in Panama during that time. We saw the canal 4 different ways… Viewed from our walk to the top of Alcon Hill. Half day transit thru the Miraflores locks on a “ferry” not overcrowded and you could almost touch the side of the wall. On a private nature boat in Gatun Lake in the middle of the canal — we were right next to wildlife looking at the cruise ships in the center of the lake. And the Agua Clara locks on the Caribbean side where we watched a supertanker pass thru the new locks. This trip was so much more up close and personal than sitting on the deck of a cruise ship and I’d totally recommend seeing Panama at ground level. We really did have a great time. Nils and Filomena (his detail planner) were in tune with what we wanted and we would use them again in a region they specialize in. All our expectations were met we were completely satisfied with their performance. We are home but still have Colombia on our minds. What an extraordinary journey to a country filled with culture, art, fantastic landscape and incredible people. Nils on Eric’s staff did an outstanding job planning our daily itinerary and choosing incredible guides. In Bogota, our visit to the Gold Museum and Botero Gallery were taken to the next level by the knowledge of each individual guide. And Nico, an urban artist, took us on a walking tour of street art, an important component of the culture of modern Colombia. Nils suggested a stay at Hacienda Bambusa, a working farm that provided us a wonderful experience. Our two guides, Juan on coffee day and Alejandro for horseback riding and hiking, were outstanding. Both passionate about their respective activities, they were attentive, knowledgeable and fun. Such a beautiful area of Colombia. And Don Leo, the coffee farmer… he is an extraordinary guy. We had not planned to go to Armenia and are so grateful to Nils for recommending the area and planning a perfect, personalized itinerary. Cartagena beat all expectations. And the ceviche – wow! Carlos might be the best city host we have ever experienced (and we’ve had a lot of them!). He embodies everything about Cartagena and we were so lucky to spend 3 days with him. He is an A+ guide, for sure. We learned, we ate, we laughed… it was really special. Chef Meli, who took us on a food tour, and Abraham, who did our rum and coffee tasting, were also excellent. Thank you so much for planning and executing such a fulfilling, joyous, and interesting itinerary. Nils, your service has been exemplary but add to that the content and execution and well… the trip was a “10”! Nils Lindhorst from Eric’s team planned my trip to Colombia with my fiance Jay. There was a lot of arranging to do, and Nils was terrific. We also had an amazing guide – Elkin. Elkin made our visit in Cartagena unforgettable. He was super friendly, knowledgeable, helpful. We loved the excursion to the Rosarios Islands. Our hotel in Cartagena was terrific – Sofitel Santa Clara. We had an unfortunate event that my fiance’s elderly mom passed away in the middle of our trip, so we couldn’t make it to Bogota, we had to leave and go back to Philadelphia. We did go shopping for an emerald and we were successful! The emerald museum Caribe Jewelry and Emerald Museum was fabulous. Elkin escorted us there and helped us. We really enjoyed Cartagena – we felt it was modern and cosmopolitan, with an old world feel. The shopping in Cartagena was also a treat, lots of sophisticated fashion designers. I am glad we had Elkin with us, and also our driver Winnie was wonderful too. I have been to 106 countries and 324 cities, traveled 8.6 million miles and never had a bucket list but if I had one the Galapagos would be on top of the list and Eric’s deputy, Nils, would be the person to go to. It was nothing short of astounding. In my Jewish Tradition when one sees the natural wonders of God there is a short prayer to say, thanking God for sharing his beautiful creation with us. I wanted to say this prayer again and again. The only issue I had was a young 24-year-old guide I had on Isabel Island. He disappointed me – I don’t want a guide 4 months out of guiding school- I am 68 years old and want perspective and maturity. Why Nils would pair a 24-year-old with a 68 years old is beyond me – in the many private guides I have had around the world I always ask for a guide with at least 10 years experience and exposure. But I had the time of my life!!! I think Mr. Pollak was expecting an academic-style biologist, which is not found on the island of Isabela. This type of guide and guides with many years of experience are simply nonexistent on this particular island. The guide that we assigned to Mr. Pollak is a young guide, however, he was working as a tour leader and local guide long before the Galapagos National Park granted him a license as a naturalist guide two years ago. He has gone through all of the National Park’s training and has all the latest information in terms of investigation and research. Our trip to Colombia organized by Eric and his team was nothing short of amazing. We had been to Bogota many years ago and were interested in a more personal curated experience of Colombia. We were expertly guided by Nils (and Eric) to visit the coffee country and Cartagena. In Armenia, we had guides that took us to the top two local coffee “fincas”. The personal touch and interactions were incredibly genuine and it gave us a unique perspective on the coffee industry. We loved the families we had the opportunity to meet. The Bambusa is a must if you are going to coffee country. The staff is off the charts good! Cartagena was also a fabulous city rich in culture and history with people from all creeds that all get along and love life. Our guide (Elkin) was incredible and has become a friend of ours. We visited the famous Salsa Donde Fidel and as luck would have it bumped in Donde on the wait out and snapped a photo for history! Food, history, architecture, and history were the highlights! Reminded us of what Havana was in its heyday. Although this review is for Colombia, Eric also organized our trip to Peru and Panama. Both were equally amazing and rewarding. 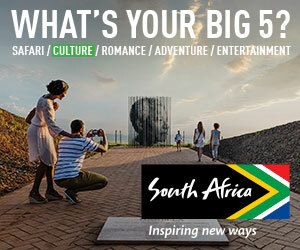 If you are going to any of these 3 countries, we would highly recommend they help you plan an experience of a lifetime. My husband and I travelled to Brazil with Eric Sheets and Nils over Christmas and New Years 2017/2018. We had an incredible trip visiting Iguazu Falls, Paraty and Rio. There were a lot of moving parts to this adventure… airplanes, a helicopter, boats and cars and everything was first class and went smoothly. All guides were knowledgeable and kind and accommodations selected were perfect. We were treated like VIPs at every stop thanks to the connections Eric has in this part of the world. Awesome Trip ! We had an excellent experience with Wendy and Eric Sheets. The planning was comprehensive and professional and resulted in a wonderful trip! Our trip to Panama was excellent. After taking the time to find out what my wife and 3 kids (18-15-12) were interested in, Eric and Jena offered many solid options. They set us up in one of Panama City’s up-and coming-areas, the Old Quarter, and found a fantastic boutique hotel. The guide, Edgar, was had over there days was enthusiastic and eager to provide us with plenty of information. Then we drove to the resort area of the Pacific to a wonderful villa at the Buenaventura Resort. Everything went seamlessly but for a slight snafu at the end (which was the hotel’s fault and was promptly fixed by Jena) and we all had a fantastic experience. Eric and Jena listened to what I wanted, and then, happily, gave me very sound advice about the order of the trip; and about going to Coffee Country — which I initially did not want to do. Boy, was I wrong! First, a word about logistics and the guides and drivers: Everything worked like clockwork. Each guide and driver was exactly where and when he or she was supposed to be. Each was professional, knowledgeable, kind, funny, and wonderful to be with. On the one day the others went on a “trek” in the Corcorra Valley — which was too strenuous for me — the driver, Hernan, spent two hours with me, taking me on shorter walks, patiently speaking Spanish with me, and generally being kind and sweet. And, he was “just the driver”. What a find! The guide in Perreira (Guillermo) and the guide in Medellin (Adriana) were the best guides we have ever had. My husband and I went with another couple. All of us were blown away by the excellent planning and the quality of the guides and drivers. Pivotal to our enjoyment was the order in which Jena and Eric suggested we visit the various places. We began in Bogota, where we stayed at the Hotel de la Opera. There is no better-located hotel for people (like us) who wanted to visit the Gold Museum, the Botero Museum, and Montserrate. For us – because I can get by in Spanish – it was a great choice. I would caution those who speak no Spanish, because there were only one or two English speakers on staff, and they were not present all of the time. From there we flew to Perreira — Coffee Country. We stayed at the wonderful Sazagua Hotel. It is a small hotel, 20 minutes from the airport, but it feels very far from a city. It is a beautiful hotel, with amazing food, gorgeous gardens, and a staff from heaven. All were wonderful. Then, on to Medellin. Sadly, we arrived late afternoon, spent only one full day, and then moved on. If you can, spend an extra day in Medellin. And, spent it with Adriana, our guide. It is a remarkable city, but a good guide is essential to explain the history and current socio/economic conditions. I did not love our hotel, Patio Del Mundo, but given constraints I put on Jena, it was probably the best choice. Our last stop was Cartagena, which feels much more like the Caribbean city it is than like the rest of Colombia. We stayed at the magnificent Sofitel Legend Santa Clara and I can’t thank Jena and Eric enough for choosing this hotel. In a word, it was “perfect”. I would like to say that Jena helped us with snags, but there were NONE. Every step was planned to a tee. We will definitely call on Jena and Eric for our next South American trip! We had a great 3 night, 4 day trip to Panama City. Our guide was spectacular and with perfect English, she was able to go deep into the descriptions of the history, politics, science, and perspective of the Panamanian people, its culture, is ecology, social/economic/political culture. We were recommended to so many fantastic restaurants and treated so well at each. The hotel we were sent to was spectacular but for the unfortunate noise that went until 4 am each night (6 am on NYE – but this was expected. We had a wonderful trip! Our family trip to the Galapagos Islands was fantastic. We decided to take this trip with little time to plan. Eric and his colleague Nils did a nice job of planning a diverse trip for our family of 5 (teenage boys ages 18, 16, and 13). The naturalists that were on our daily trips with us were fantastic. We loved the Galapagos Safari Camp on Santa Cruz. The food was unbelievable and staff very helpful. The Iguana Crossing on Isabella was a nice change of pace to be right on the beach. We enjoyed time to walk on the beach as well as into town. It is hard to pick our favorite day-trip. We were surprised with a last-minute surf lesson, which was such a treat! I highly recommend this trip. I worked mostly with Nils and Filomena on Eric’s team, for this trip. It was a great Itinerary. They really tried to make the most out of our time in Colombia. It was our 15th-anniversary celebration and they went over and above in every aspect. We were greeted on our first night with flowers and champagne! very nice touch. I got to tell you that they worked hard on this…the whole time we were traveling! We had some hiccups, There was a pilot strike on the airline we had booked 3 out of the 4 interior flights while there. We had to rebook all of them! And even on the new one there were delays to the point of changing our itinerary completely, But Nils was on it!! Thank god he was there to keep the craziness at bay. I would definitely recommend these guys service! Eric Sheets and his team planned a wonderful trip for my husband and me to Panama City, April 16-23, 2017. It was a week-long getaway and we wanted to experience the most this destination had to offer. They carefully listened to and tailored a number of activities to our interests, including the Panama Canal, an eco-tour on Gatun Lake and a trip to Soberania National Park to experience the rainforest. The most thrilling highlight was the exclusive VIP tour of the Panama Canal’s Miraflores Locks with a Canal official who took us to an area that is restricted to the public. We were the only people in that area and so close that we could almost touch the boats going through the lock. We were even allowed to stand on the lock gates for a picture – talk about bragging rights! This was a bucket-list moment that we didn’t know we even had. We also experienced a private chocolate tasting of local Panamanian chocolate at a charming store in the Casco Viejo old town, touring through authentic local markets, a lunch at a seafood place where mostly locals eat, spotting monkeys, sloths, bird and butterflies as big as birds, and learning about Panama’s biodiversity from the knowledgeable guides. As per our wishes, there was enough downtime built into the itinerary so as not to feel rushed. I highly recommend Eric Sheets and his team and I’m already working with them on a December trip to Argentina and Uruguay. Our quick seven day Columbia visit with Eric Sheets and his team worked perfectly. Our guides, drivers, and hotels were excellent. In Bogota, the Gold Museum came alive when we saw it through the eyes of a museum specialist. At each destination, there were special unexpected events – a picnic lunch in a bamboo forest, a visit to a private small coffee plantation where we were able to see the entire coffee growing and processing cycle and more. -experiences we would never have had on our own. Our guides were very flexible and focused on putting together unforgettable days. Eric Sheets and Nils Lindhorst were extremely helpful and accommodating while planning and during our trip. They were easily reachable for any questions before and during travel. Their team was efficient (printed boarding passes in our room the night before flights) and knowledgeable about restaurants and tours. Would highly recommend! Eric Sheets and Nils Lindhorst, planned a 5 day trip to Cartagena Columbia for my husband and me over New Years 2016/17. We were late in planning our holiday trip and concerned about availability but after a conference call with Eric and Nils to discuss our likes and dislikes, I knew we were in good hands. I worked mostly with Nils who could not have been more patient, kind, knowledgeable and professional. He made sure everything was taken care of including making sure our beautiful room was fragrance free for my allergy to flowers. We had a wonderful trip to a beautiful country but it was made even more special by the attention to detail provided by Eric and Nils! Eric Sheets and Nils on his team advice was particularly valuable because he had lived in Medellin for several years and knows it well. He has a strong sense of what a visitor should see to understand it. Although we initially said that we only wanted to visit Medellin and Bogota, he insisted that we consider Coffee Country too. He was absolutely right. Going into the beautiful countryside also added a dimension of beauty and relaxation to our trip – hiking, biking, coffee visit, as well as experiencing the culture that is so different from the cities. Also, two of the three guides he provided were top notch. Great people skills and flexible styles as well as deep knowledge to share. We got everything we hoped for from planning our custom trip. In fact our local Medellin guide took us to the top of the gondola to a newly opened station in one of the slum neighborhoods and we had a delightful visit with the kids on the playground. It was new to her and she was willing to explore it for the first time with us. Wonderful cultural experience talking with the children. One particularly smart move was to schedule us to be the first ones in to the Ipaquira Salt Cathedral so we had it to ourselves and beat the crowds that were pouring in as we left. I lived in the Canal Zone in Panama when I was a teenager and grew up in that area. I wanted to return to the country and re-visit my old home/schools and more, and share it all with my husband. 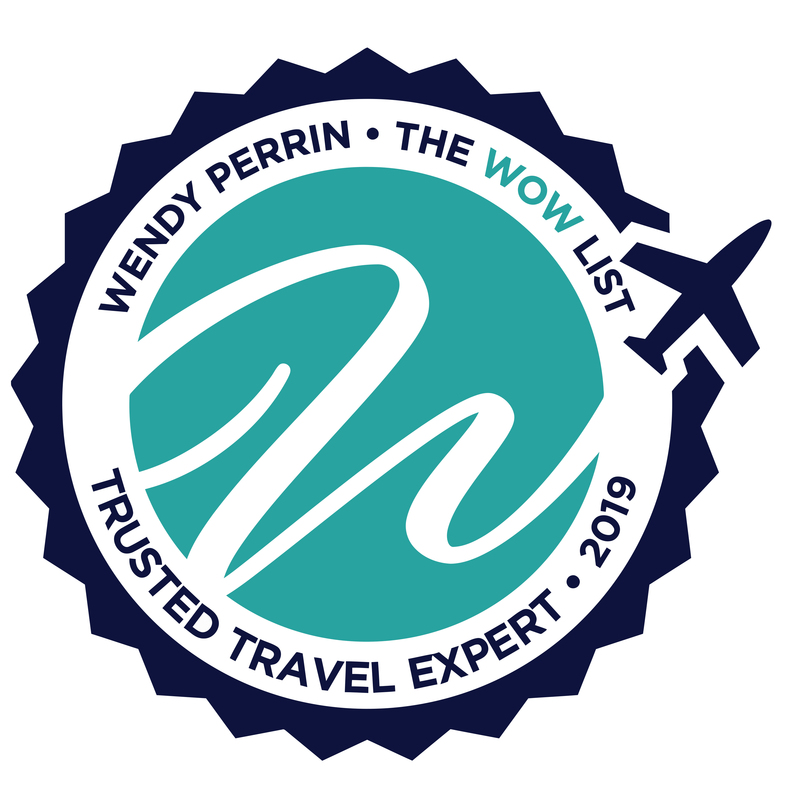 After using one of Wendy Perrin’s WOW consultants for our Spain trip last year, I knew that I would call upon Wendy’s WOW list again to get the most out of our trip, and we were not disappointed. Wendy’s Panama contact Eric Sheets immediately referred me to the group in Panama City who arranged our trip; they were nothing but high quality experts who helped us plan the activities we wanted to enjoy while visiting Panama. We will only go through WendyPerrin.com when we plan future trips —her experts are highly knowledgeable, experienced, and responsive. Well worth the extra you pay vs. fighting the public crowds!! Wonderful Trip to Cartagena – My husband and I arranged a 3 day trip to Cartagena last month through Eric Sheets and Nils Lindhorst. I spoke to them on the phone about the activities we would like to do, and they responded with excellent suggestions and a very well thought out itinerary. The hotel they recommended, the Bastion, was fabulous and well priced. Upon arrival we were upgraded to a massive suite with two full bathrooms and an outdoor terrace overlooking a small rooftop garden. The hotel restaurant served the best food of any restaurant we tried. Service was excellent. Our guide, Eusebio, was friendly and knowledgeable, and all our drivers were excellent. Our first afternoon was spent walking around Cartagena and taking in the sights. We met with a local architect who showed us the incredible restoration work of many of the city’s historic buildings. We spent the next day on a boat trip to the beautiful Rosario Islands, went snorkeling and had a fun lunch at a small hotel on one of these private islands.Although we had booked the boat for 8 hours, we elected to head back earlier than planned (I was nervous about the ocean swells that pick up in the afternoon), and our guide was able to adjust our schedule to see the monastery and fortress later that afternoon. Because we moved through our itinerary so quickly, it meant that we had the following day to ourself and enjoyed visiting the many museums (all had English speaking guides for hire). We were slightly disappointed because we did inquire about spending the day at Santa Marta but the price quoted seemed excessive. Having said that, we decided a 4 hour drive each way was more than we wanted to do anyway. We had a wonderful time in Cartagena. It is a beautiful city with friendly people and a rich history. We look forward to a future trip to Bogota and Medellin, and will definitely use the services of Eric Sheets. Mike and I want to thank Eric for arranging our trip to Colombia. The plan was thoughtfully prepared, as we were able to visit 4 very different areas, experiencing the varied regions and cultures. In addition, each of the hotels Eric chose were wonderful – we very much enjoy staying in luxury accommodations! There were so many activities that Eric planned for us, that it is hard to tell which we preferred more — but, to mind, we particularly enjoyed the Botero Museums in both Medellin and Bogota, the Favela in Medellin, the market and cooking class in Cartagena, the coffee tour, the hike and fruit tasting, and the Botanical Garden in Armenia. Thank you, again. I hope to work with Eric again to plan a trip to Argentina and Patagonia! My wife and I just returned from a 12-day trip to Colombia that was planned by Latin Excursions and we were very disappointed by the recommended itinerary, hotels, and guides provided to us during our trip. We have traveled extensively and used Wendy-Perrin-recommended travel agents many times before, going back to when Wendy was with Conde Nast. Those other experiences were wonderful. This one, unfortunately, was far from it. When we first contacted Latin Excursions, Eric Sheets was traveling on business so our request was handled by Jena Davison, who works for Eric, instead. I would expect that Eric oversaw Jena’s management of our trip but do not know one way or the other. Never having been to Colombia before, and having only the benefit of TripAdvisor recommendations and tour books to go by, we relied on the recommendations of Latin Excursions for the itinerary. This turned out to be a mistake as we had too much time in places with nothing to do and missed opportunities to see other places that would have been interesting. As an example, we spent three days in Cartagena, where we thought two would have been plenty, and missed the chance to take a day trip to Barranquilla which we would have liked. This, despite having told Jena that our style of traveling is to see as much as possible and that we were not interested in a vacation with a lot of downtime. Another disappointment was in the hotels that were recommended. As an example, the Casa Medina Four Seasons was recommended to us in Bogota but we were not told that it did not have air conditioning in the rooms. The only way to get air into the rooms was to open the windows but, since the hotel is located on a busy street, this meant hearing the noise of traffic all night and early in the morning. It turns out that Latin Excursions was not aware that the hotel did not have air conditioning which we find inexcusable. Finally, on our trip, Latin Excursions used the services of Colombia Activa, a local Colombia-based travel agency, to handle our in-country arrangements. The guides we were provided with ranged from being so inexperienced that one of them actually carried handwritten notes with her in order to be able to tell us what we were seeing to others who seemed to think they were stand up comedians who were there to entertain us rather than educate us. As most people would agree, the guides are usually what make the trip and, unfortunately, the ones provided to us on our trip fell far short of expectations. All in all, I would not recommend using Latin Excursions for a trip to Colombia. We were very disappointed. Regarding your comment about having too much time in Cartagena and other spots: We felt very comfortable with the flow and evolution of the trip, based on our years of planning trips in this destination. We designed your itinerary according to your expressed interests and needs. Regarding your comment about no A/C at the Four Seasons: Bogota is at an altitude of 8,500 feet, with average temperature at night of 45 to 50 F. Unfortunately, the week you were there, there were record warm temps due to El Nino. The morning after your complaint, I offered to change your hotel immediately, and the Four Seasons upgraded your room to a Junior suite in a quiet area. The Four Seasons is the top hotel in the country, and of course we have experienced it personally. Regarding your comment about the guide who carried handwritten notes: Your guide Martha, who is an experienced guide in Medellin, tells me that on Day 1 you asked for some very specific figures on economics. Martha didn’t have those answers, so that night she researched the subject and came back the next day with notes so she could give you precise figures. We are sorry that you were disappointed with your trip. Please note that the other couple who traveled with you (Cookie and MIke Woltz, whose review is above) was very satisfied with the trip. Eric and his team did a fine job and our guides really made the trip a much richer experience than anything we could have done on our own. We were well taken care of. Just returned from Columbia, the trip was organized and we were well taken care of. The guides were friendly and knowledgeable. Look forward to working with Eric in the future. My husband and I have been fortunate to benefit from Eric and his company’s wonderful travel expertise for many years. Most recently, we traveled to Cartagena for Thanksgiving and enjoyed a truly memorable four days. The guide and drivers were excellent. We stayed at Tcherassi and loved EVERYTHING about the hotel. The trip to the Bazurto market was one of the most real, non-tourist experiences I have enjoyed. The visit with the Coco ladies was an absolute delight. Again, very natural and educational. Not the least bit of a tourist trap. A day-long boat trip to the Rosario Islands was a perfect way to see the coast and then lunch on a private island was a wonderful and delicious surprise. Restaurant Don Juan was truly remarkable. The kindness of the people, the beauty of the old city, and the incredible restoration of so many historic buildings all make Cartagena a magical place. Latin Excursions made our first trip a memorable one that will keep us coming back again and again.